We are leading manufacturer of Plastic Spoon Making Machine in Ahmadabad, Gujarat, India. We are one of the best company dealing in plastic spoon making machine. 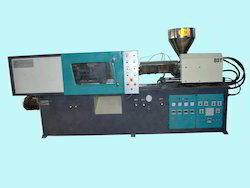 We are having large range of injection moulding machine in Plastic spoon making in Ahmadabad. Looking for Plastic Spoon Making Machine ?